In this special edition, we cover this weekend and the Australia Day celebrations early next week. Our picks include: the National Museum’s Continuing Culture Australia Day Festival, the Australian of the Year Awards and Concert, the Great Aussie Day Breakfast and the CBR Hottest 100 Beach Party. Where: National Museum of Australia, Lawson Crescent, New Acton; When: daily 11am and 2pm, until 28 March; Tickets: adults $10, children $5, concession $8. The best way to experience the National Museum of Australia’s latest exhibition, Encounters, is to take a guided tour. I took the tour during the week and it was probably the best exhibition tour I’ve ever been to – so this is not to be missed! The guides are highly knowledgeable bringing the early Aboriginal and Torres Strait Islander objects from the British Museum on show along with more modern items to life by explaining the history and stories behind them. Where: Exhibition Park in Canberra, Corner of Flemington Road and Northbourne Avenue, Mitchell; When: Public days are Saturday 23, Sunday 24, Monday 25; Entry: free! CANCON is a convention run by the Canberra Gaming Club, which is devoted to the furthering of gaming in the ACT and region. Stop by and find a new game to enjoy with friends. As part of the convention, Reload is hosting the CANCON dinner – enjoy prizes, trivia, a charity auction, music, dancing, board games, card games, video games, more pizza than you can imagine and a dedicated cosplay photographer. But it gets better; if you are going to be in cosplay (that’s dressing up and pretending to be a fictional character), you can purchase the special discounted ticket price at Eventbrite now. The National Library’s summer blockbuster study of 300 years of Chinese culture and tradition opened its doors on January 2 and continues for the next four months. 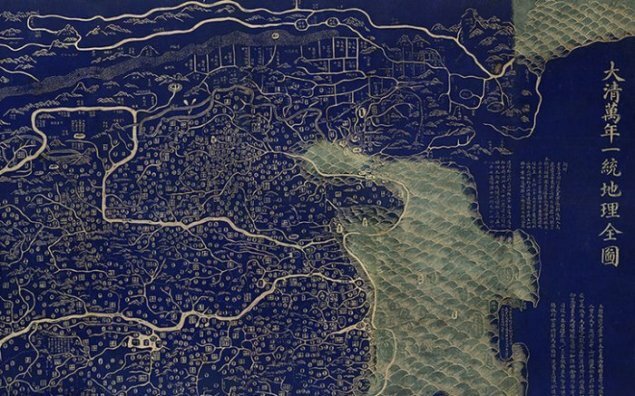 A joint event with the National Library of China, it offers a glimpse at the world of China’s last imperial dynasty through maps, books and prints. Visitors will see exquisite objects from the National Library of China and drawings and plans for Beijing’s iconic palaces from the Yangshi Lei Archives, listed on UNESCO’s Memory of the World Register in 2007. The Glassworks curators are encouraging you to make art in the heat of summer. They ask, what does summer mean to you? And if you could make a tile that represented that, what would it look like? In just twenty minutes, guided by a professional artist, you’ll answer those questions. Walk away with your own piece of art; all materials included in the price. Bookings are essential. Discover the significance and symbolism of the ANZAC Parade Memorials on a volunteer-led walking tour. Make sure you register so you don’t miss out on your spot. 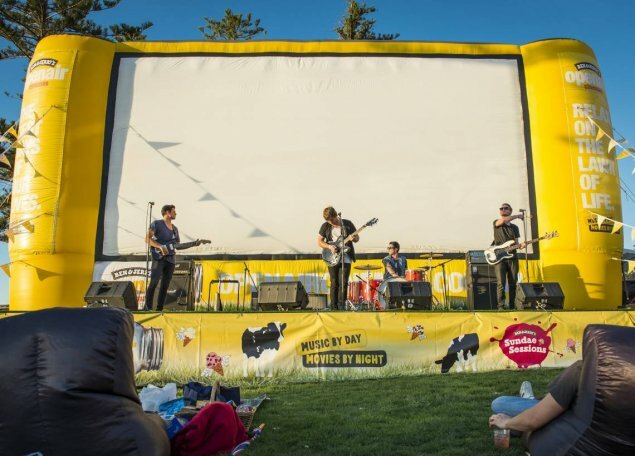 With music by day and movies by night, you won’t want to miss the Ben & Jerry’s Openair Cinema setting up beside Lake Burley Griffin for a limited time. Music is performed by local emerging artists and bands, while the blockbusters of 2015 light up the screen from dusk. Best of all, every Sunday is the Sundae Session where everyone scores a free Ben & Jerry’s ice cream. This Saturday enjoy Spectre; while Monday night showcases The Dressmaker, starring Australian actor Liam Hemsworth. As the gardens transform under the twilight sky, enjoy music, gourmet food and a cool glass of wine. This weekend, the Botanic Gardens welcome Big Boss Groove on Saturday and Franklyn B Paverty – supported by Humbug on Sunday. The Summer Sounds Concert Series runs over the next three summer weekends, with the Justine Clarke gig on February 6 likely to be hugely popular. Join brother and sister duo Benjamin and Michelle Law as they divulge real-life experiences and expectations of growing up Chinese in Australia. Tickets include Chinese tea, refreshments and book signing (book not included). The talk is part of the Library’s Experience China: The Chinese in Australia weekend. From historical perspectives to contemporary cultural commentary, this weekend offers some fascinating insights. Where: Transit Bar, 7 Akuna St, Canberra; When: 8pm-2am. Spend the night dancing and listening to an unparalleled body of work, as curated by some dedicated Bowie fans in EvilChris, Robot, Madam Fahrenheit and DJ Krusty Toast. Transit Bar invites all Goblin Kings, Major Toms, Star(wo)men, Ziggy Stardusts, Thin White Dukes, Aladdin Sanes to come along and put on your red shoes and dance the blues. Requests are welcome as this night pays tribute to a great artist. As they have done in past summer holidays, the Australian War Memorial is hosting its Sunday film sessions. In 2016, the films will explore the roles and experiences of women during wartime. For some films, it will be a rare opportunity to see them on the big screen. This Sunday kicks off the season with this Australian classic tells the tale of a group of women imprisoned by the Japanese during the Second World War who use music as a way to process their grief. Paradise Road is based on the diaries of the real women who survived this experience. Support the reigning W-League champs, Canberra United, as they aim to put a stop Sydney FC’s journey to the finals this weekend. It’s a tough match for Sydney, with Canberra having won the last two outings played against them; but more than that, Canberra has not conceded a single point in the last six and a half games played at McKellar Park – or, another way: since November 2014. The Australian of the Year Awards and Concert formally known as Australia Celebrates Live is back, bigger and better than ever this year. Pack your picnic rug, hat and your proud Aussie spirit and head to Parliament House early to reserve your spot on the lawns on Monday, 25 January. Australian music legend Jimmy Barnes headlines the evening, promising to deliver his classic Australian rock anthems. Along with Jimmy Barnes, the concert will feature chart topping Australian artists Samantha Jade, Nathaniel, and Cyrus Villanueva. The Australian of the Year Awards and Concert is a free, family-friendly event which is open to the public on the lawns in front Parliament House. On Tuesday remind yourself and your family of the history that came before January 26, 1788 by spending a few hours at the Museum’s Continuing Culture Australia Day Festival from 10am-2pm. There will be Indigenous dance and musical performances, a puppet show and games for kids, traditional demonstrations from artists featured in Encounters, curator/artist talks, hands-on art and craft sessions and films. Let ActewAGL and Canberra Milk pick up the tab for the most important meal of the day at the Great Aussie Day Breakfast. Even though breakfast is free, gold-coin donations are encouraged, with all money raised going to Pegasus Riding for the Disabled. Free kids entertainment will include Jim Henson’s Dinosaur Train live stage show. 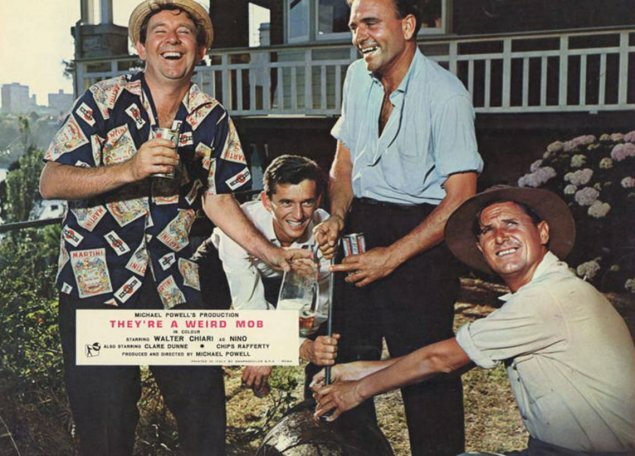 For Australia Day 2016, The National Film and Sound Archives are screening three classic films about the concept of being Australian in the Arc Cinema. Start the day with a sausage sizzle (from 11.30am), then catch the Aussie classics — They’re a Weird Mob, Crocodile Dundee and The Castle for $5.00 each. In the afternoon (12pm-5pm), the NSFA is showing episodes from the first series of Skippy (free, no booking necessary). Bring your swimmers and a beach towel, feel the sand between your toes, relax in baby pools or spend the day on our water slide all while listening to Triple J’s Hottest 100 at Westside Acton Park. Stick around after the countdown for a sunset screening of the classic Aussie movie, The Castle. There is no better place to be this Australia Day than in the heart of the nation’s capital – Lake Burley Griffin. Bring a picnic lunch and join carillonist Leonard Weiss for a free lakeside concert at 12:30pm, celebrating new and old Australian favourites in an all-Australian performance. Where: Lake Burley Griffin; When: 6pm. Join the crowds at Regatta Point, Rond Terrace or the lawns of the National Library of Australia to watch the sky light up with colour during the Fireworks Spectacular. Arrive early with your picnic rug to secure a good position, watch the Australian Air Force flyover, enjoy the great range of food on offer and bid farewell to yet another fantastic Australia Day. See more Australia Day activities happening around the capital. Are you going to something that we haven’t mentioned? Make sure you let us know about it in the comments. Tags Australia day long weekend Australian war memorial Canberra United FC Canberra weekend Canberra weekend guide cancon Commonwealth Park EPIC Exhibition Park in Canberra glassworks Lake Burley Griffin McKellar Park National Film and Sound Archive National Library of Australia national museum of australia Openair Cinema parliament house stage 88 transit bar weekend guide Westside Acton Park What's on this weekend? There appears to be little to celebrate with such a victim-centric programme of events being featured.